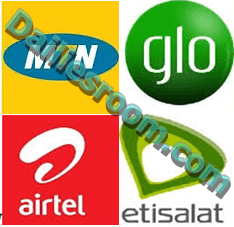 How To Borrow Credit From Mtn, Aitrel, Glo And 9Mobile – Hello Guys, as we all know that communication is one of the ways we can survive in this world, so communication is what we can’t do without in life. And now technology has made it easy and possible for every person to communicate through Telecommunication and it has also become a blessing to mankind in general because a scenario where you can communicate or connect in different ways either via SMS, calls, video conferencing, conference calls etc. Why we need to learn how to Borrow Credit from Mtn, Glo, Aitel And 9Mobile is because, Most of us might not have money temporary to make call or other forms of communication, and maybe you are stock down in a place where you will be shout of airtime like a far distance journey and in the process, you need to communicate for an emergency, but no airtime and the only option is to borrow airtime (money/Credit) from your network service. So in this following below, we will be showing you the codes to borrow your airtime and also learning how to Borrow Credit From Mtn, Aitrel, Glo And 9Mobile Network for easy communication. Step #2: Borrow the airtime by dialing *321*pin*amount you want to borrow#. For example: *321*0911*200#. If you use an Airtel SIM, you can borrow airtime by dialing *500*amount#. With Airtel, you can borrow up to N500 worth of airtime at a time. Select your desired amount and punch OK.